Kogarashi wrote: As mentioned by Doc Fer, Koss KSC75 coming to 5th Avenue branches. Magkakaroon na ng headphone yung display nilang pugot na ulo. Woot! I've always wanted to try these highly regarded yet cheap clip-ons. Any update if they're available yet? hope this pushes through! can't wait, i need to replace my broken ksc75s already! 5th ave parksquare salesman said, koss ksc75 will be shipped on april. Mga how much kaya yung KSC75? DigitalAnalog wrote: Mga how much kaya yung KSC75? any amps for sale locally that are higher than FIio? architectural audio is at greenbelt 1 in makati. you can call them at 811 6715. they just started bringing in naim products, so they don't have a demo unit yet. they can however order one for you. a pre-owned consonance however, is available there. hyperion is a wiredstate member. send him a message. audio amplified is along e rodriguez in libis. it's across shopwise. check out audio amplfied's thread. dcm is at 16th avenue in cubao. there is also a thread here. you may call them for dealers that may be closer to your place. as for cmoy amps, i don't think they are commercially available. if you understand schematics and have soldering skills, you can build one. just use your favorite search engine for instructions. Hi, when we say portable we meant headphone gears. Sorry if it means different to you. What will the CMoy drive? A CMoy WILL NOT drive a speaker. I haven't tested that combination my self, but the CMoy drives my AKG-240 Studio enough. A better amp is preferred. if you decide to audition amps, best is to bring your headphones. the amps i mentioned aren't exactly portable as they can't be powered by batteries. just remembered, you might also want to check out bada. there's a demo unit at architectural audio. you overlooked the address in my earlier post. their store is at the ground floor of greenbelt 1 in makati. in case you're not familiar with greenbelt 1, it's along paseo de roxas ave. in makati. it's across asian institute of management. you can call them at 811 6715. I want to ask if someone can give me the address for Forerunner Technologies' shop. I'm looking for some Audio Technica earphones and I saw on your directory that they distribute those in the Philippines. 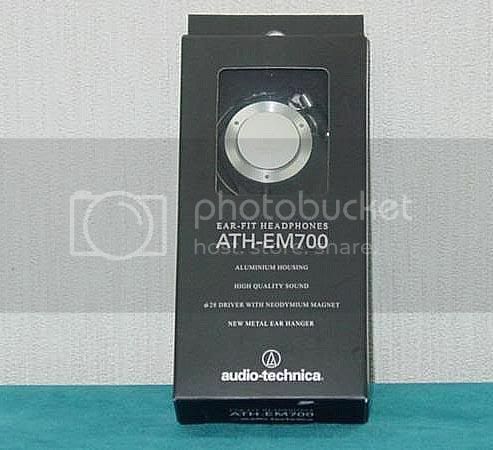 More specifically, I'm looking for the ATH-EM700 model from Audio Technica. If anyone can tell me another store that sells these earphones, then you have my gratitude. I always wanted those ever since I saw them, but the only option for me is to import from eBay. Thanks to anyone who can answer my question. #12 Rosario St., Carmel 2 Subd. If you decide to buy from the internet, you might find it cheaper to ship from Bluetin or Audiocubes, instead of ebay. Bluetin has branches in Singapore and Japan. Audiocubes is in Japan. Then if you can wait, you can ask a friend/relative to get it for you from HK/Singapore. I got my Audio Technica from Amazon. Works for me. Thanks for the suggestions. But the earphones I want are sold for almost $100 in Bluetin, and $150 in Audiocubes and Amazon. They are only sold for $65 in eBay. The seller's reputation is really good too. Well I did find a similar but cheaper model in Bluetin... the ATH-EM7. So I would like to ask if anyone has any experience in buying from that site, in case I decide to buy that one. Do they accept Paypal? And how much are their shipping costs?